Located in the heart of the wine country of the Yadkin Valley, Jonesville serves as an easily accessible gateway to not only wineries, but to fabulous scenic and recreation attractions such as Stone Mountain State Park, Pilot Mountain State Park, the Blue Ridge Parkway, and the W. Kerr Scott Dam and Reservoir. 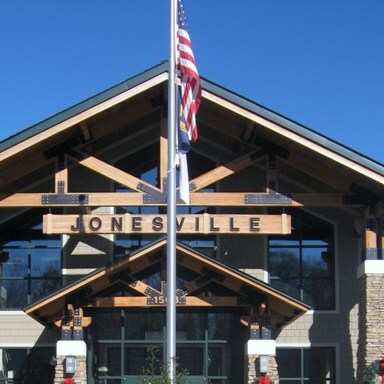 Jonesville lies about 30 miles west of Winston-Salem and about 70 miles north of Charlotte. The nearest major commercial air terminals are in Charlotte and Greensboro.